In classic American fashion, Claire Goldricks family moved West from Washington D.C. to Albuquerque, New Mexico when she was a child, and her love of horses, Indians and Western landscapes was born. In high school, determined to have her own horse, she used her talent for oil painting to create commissioned portraits of classmates and pets in order to pay the costly boarding fees. Without any formal art training, Claire has turned her passion for art and the natural world into a bonafide American success story. 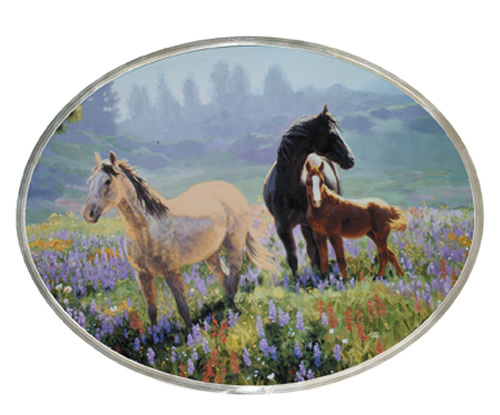 Her prints are collected the world-over, and she has been featured in several magazines, including Western Art Digest and Equine Images.